America Debt Resolutions has been in the business of settling unsecured consumer debts since 2006 and have over 30 years of experience in settlement and finance. America Debt Resolutions offers a debt settlement program providing consumers with some beacon of light when they are under financial hardship. The company provides a free no-risk, no-obligation consultation where an enrollment specialist will assess the financial hardship of each consumer and determine if their services will help carve a path to financial freedom. This company charges competitive service fees ranging between 16-21% of the total debt you enroll and operate on a guarantee that no money will be charged to the client unless they are able to successfully negotiate a debt. Service fees will be listed in a client agreement and a predetermined amount will be paid monthly to an FDIC insured escrow account. Once enough funds are accumulated their professional team of arbitrators will contact creditors to negotiate and settle debts. After clients agree to the settlement amount, they pay the creditor and service fees to American Debt Resolutions using the money stored away in the escrow account. One aspect setting this company apart is each consultant working for the company is salary based. By avoiding commission based employees, this allows consultants to focus more on clients and less on their wallets. They provide a guarantee to provide dedicated arbitration support after completion of the program and upon request will obtain outstanding zero balance letters on the clients’ behalf. We appreciate this company taking the time and resources to become fully accredited with the AFCC (American Fair Credit Council) in their seventh year, and FTC compliant. Additionally, ADR provides a dedicated team of client relations coaches who will work with each individual on a monthly basis. Every four to six weeks, coaches reach out to provide updates to enrolled client accounts, which are also accessible via an online client portal. This company also promises to keep personal and valuable information safe, never outsourcing any personally identifiable information to third-party sites. Many of their competitors state in the fine print they will sell, trade, or use personal information to their third-party affiliates, so this is certainly another aspect we highly appreciate. With any debt settlement companies risks involved, such as tax, lowered credit scores, and the possibility of litigation. We would like to any sort of minimum debt requirement from American Debt Resolutions. We would also like to see any sort of money back guarantee from them. 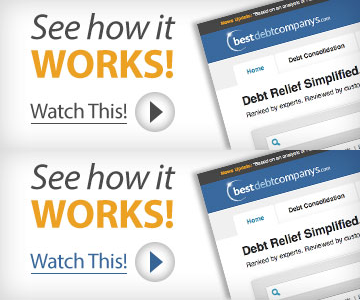 America Debt Resolutions is a highly respected company providing complete transparency to consumers and clients alike. They hold accreditation and certification with the AFCC and IAPDA. They have a track record of successfully resolving client’s debt, although they offer no means to help consumer and clients become knowledgeable concerning methods and techniques to keep them out of debt. Overall, we recommend going with a company that has more accreditations and a money back guarantee. I found this to be my best option, to handle my financial problems. The attention and service was unbeleavible. I loved the customer attentiveness and professionals that led me through the whole process in a language I could understand. Meri B my counselor was one of the best at her job and I would recommend anyone seeking help to contact her, thank you with all your assistance and the follow up and notices to keep me posted on my progress. Sincerely James Carr another satisfied customer. By submitting this form, I consent to receive calls using automated technology from America Debt Resolutions at the number provided and understand this is not a condition of purchase.